Balanced cleansing for oily skin. A cleanser for combination to oily skin should keep the skin balanced, removing excess oil while keeping the skin’s natural protective layer intact. This gentle yet effective cleanser cleanses skin without stripping it and is ideal if you suffer from blackheads or enlarged pores. I was a little disappointed with this cleanser. It’s described as “foaming” but I didn’t find it foaming at all and it was difficult to remove even using a wash cloth and felt like it left a residue on my face, leaving me feeling the need to wash my face again. Didn’t get the same clean feeling I get from using the cleansing gel. Customer Care: Hi, and thanks for letting us know of your experience - we're sorry to hear this didn't work for you! We encourage you to contact our customer service department, who might be able to provide you with a refund. Natasha - HOLY GRAIL cleanser!! I’ve been using Paula’s Choice for about 2 months now and so far I’ve been extremely impressed!! This cleanser is my HG. I love it! It has a creamy formula and turns into a light foam when water is added. It leaves my dry/combination skin clean, fresh and most importantly, not dry or tight! Since discovering Paula’s Choice, I already see such improvements to my skin. It’s all about trial and error, purchase the samples then decide if it’s right for you. I started with the ‘Calm’ range but it didn’t suit my skin, wasn’t moisturising enough. I definitely will repurchase, it’s worth every penny!! S - 2nd Best to Resist Anti-Aging Hydrating Cleanser! I thought it would be really worth mentioning how great this cleanser is, even though Resist Anti-Aging Hydrating Cleanser IS my holy grail. I was given this travel size along with my previous order, & have just ran out of favorite... hesitant to use anything else, but really having no choice, I have been using this one for the past 3-4 days, & have been pleansantly surprised, that although it is a foaming cleanser, it really isn't drying! My biggest concern was that it would leave my skin feeling tight, as all other cleansers do, on my sensitive combination skin, & love my Resist Anti-Aging Hydrating Cleanser because of how incredibly soft, hydrated from within, & yet clean it leaves my skin. I imagine those with a tendency to get drier skin will appreciate the Resist cleanser more than this one.. so if you don't like this cleanser, you MUST try the Resist Anti-Aging Hydrating Cleanser. It's beautiful. I always used to buy face washes from the drug store as I didn't see the point in spending extra on a product that gets washed down the drain. I was wrong this is a lovely face wash, & does everything it claims to do. Face washes usually leave my skin so much worse off, but this makes me skin feel soft and clean and stops it getting so oily throughout the day. I've been using it for a few months now and my skin really is better. I was without it for a week when I went on holiday and it was a reminder of how bad things used to be between me and my face! I don't think, if I can help it, I'll be without this face wash from now on. I've only recently started using this a couple days ago along with testing the CLEAR pore cleanser which proved too drying on my skin. First thoughts are finally i've found a cleanser that is not drying on my skin! Previously I used abrasive cleansers by Neutrogena and La Roche Posay on my oily skin which were badly drying. The last cleanser I used was Purity by Philosophy which initially seemed perfect but over time started to become drying and itchy due to all its fragrant oils. This cleanser is the only one that's done the same job without itchiness, as for how long it will stay that way we will see however for now it's just perfect. This product ended up leaving my skin very dry and flaky (dryer than usual) which in turn lead to breakouts. Very disappointed. Customer Care: Thank you for your review. We are very sorry to hear about your experience and discomfort. Although this is not a common response, we do understand that each customer is uniquely different in how they will respond to products or ingredients. We will be contacting you for a alternative product recommendation. For a foaming cleanser this is good - you only need a tiny amount and it doesn't have a strong smell or leave skin feeling dry. I received this as part of a sample set and used it in the morning as a cleanser to refresh rather than remove makeup - I prefer using balm or oil cleansers in the evening to remove my makeup. If you like using foaming cleansers, try it out! I found this to be too drying. It was non-irritating, however, and did not cause stinging. I believe it would do a good job of removing make-up, too. However, I think this is more for oily to very oily skin, as my skin felt very tight after using it. Dawny - Perfect for gentle cleansing! I do like this, but I prefer the Resist alternative. Aside, this is great. It doesn't foam, it does clean and leave my skin feeling fresh and not tight or dry anywhere. The bottle is a big size and the price is good. I prefer the Resist one though which is similar but with a bit more of an anti-aging focus, but this cleaner is certainly good value, especially if you buy the bigger size. The foam has a luxurious, satisfying quality to it - if I was younger I would use this all the time for my combination, blemish prone skin. But at 38 I prefer the benefits of the PC resist foaming cleanser which is very similar but a more complex formula. Ok first of all, I love the fact that this came in a larger bottle. This cleanser has the perfect balance of ingredients for my combination skin. Not too drying and not too greasy, I use this as my morning or daytime cleanser and the resist oily/combination as my night time. Both amazing cleansers, I've tried many other brands, but I must say this brand is the best that I've come across so far. I have been using this cleanser for 3/4 weeks and so far I'm liking it. It takes off makeup pretty well, although you'll need separate makeup remover first for heavy duty eye makeup. It doesn't dry my skin out too much and seems to be doing well on my combination, and currently dehydrated skin. My skin is also sensitive and this cleanser isn't causing any problems. I was a very unhappy bunny with awful blemished skin which is highly reactive to most drug store products. Now fully a Paulas Choice convert. If only i had known sooner! My skin is clear ! hurrah! Gentle cleanser but seems to leave a film rather than clean rinsing and am sure it broke me out/did nothing to help my acne. Changed to the CLEAR cleanser which is fantastic and much better. Although this cleanser does its job at removing dirt and oil from my face, it still overstimulates my oily T-zone to produce more oil, finding myself like a frying pan by the end of the day. I am not trying to gun down this product, it's better than most out in the market, and it is also very well researched, but for people that suffer with VERY sensitive skin and deal with combination skin and acne, they are better of with another option, something that is more gentle, and not simply buy this product because it says that its specific for combination skin. The first step in my beauty regime. A little goes a very long way with this product! A small pea size amount does my entire face and neck. This product will last for a lifetime if used properly, and totally worth it. Completely gentle to use on eyes. Reduces the amount on my skin significantly. Love this little gem! Have really enjoyed using this cleanser which leaves my face feeling clean but not tight. I have combination skin and it seems to leave it nicely unified. I have combination skin and I use this as my first cleanse in the evening. I wear SPF40, as well as makeup, during the day so I double cleanse when I take my makeup off to make sure that everything has been removed. This cleanser removes all of my makeup, including eye makeup. It is very effective and does not leave my skin feeling tight. I use the Skin Recovery Softening Cream Cleanser for my second cleanse. I think that the larger size is great value for money. You get over 200ml more for just over £5 extra. 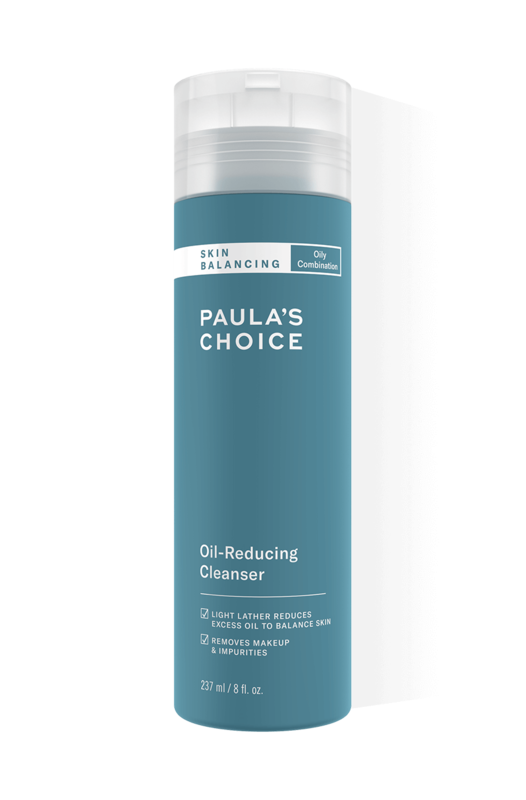 If you compare the cost of the larger-sized Paula's Choice cleansers to other cleansers (even cheaper, high-street brands), you are getting a lot of product for your money and much better quality. This cleaner is very effective yet gentle. It cleans the skin really well and leaves it soft and not dry, although I do need an hydratant after washing my face. My skin is combination, drier on the cheeks. I use this cleanser once in a while also for my make up brushes and so far it is the only product that actually works - I have also tried another face cleanser I used in the past and it does not get anywhere near in effectiveness. It is also very convenient. This is a massive bottle that will last me for ever! If you travel a lot you may want to buy a smaller container to bring your cleanser with you as this is very big and heavy. I bought this product with the others as a set. The size is big and value. Skin feel clean but not dry. Good feeling. To remove mascara or water proof cosmetics, may need to apply twice and use the cotton pads to wipe on the specific area. Everything you need in a cleanser, I have an oily T-zone and very dry cheeks/mouth and this is honestly the only product that doesn't cause problems. Lathers up very well, cleans everything including mascara and thick foundation off. The big bottle has lasted me 2 months so far, with over half left in the bottle! worth the extra money. Paula you are my God. I used to use the Garnier cleansers with BHA and god-knows what else, but after reading all the reviews about cleansers on this website I realised I was probably contributing to my own skin problems by using something I thought was helping me. I have been using this cleanser twice a day for two months now and my skin is looking so much better! I pretty much never get pimples on my face and neck now, although I had a period of 'purging' after I switched my whole regime to Paula's Choice. Now my skin looks better than it has in years. I cleanse twice a day, use the "Skin Balancing Daily Mattifying Lotion with SPF 15" in the morning and the "Skin Balancing Pore-Reducing Toner" at night, followed up with "Skin Balancing Invisible Finish Moisture Gel" if I feel I want a bit more moisture. This is a very gentle cleanser and never leaves my skin feeling tight afterwards. I started off loving this cleanser. A silky lotion that foams whilst using it. After using it for just under two months, however, I don't feel the same way. This cleanser claims to reduce oil yet I feel it only exacerbates the problem as my nose is left slightly red after using it. I don't think my skin agrees with the lotion texture either and for someone who has large pores and blemish-prone skin, it really doesn't clean enough as my face feels dirty an hour after using it. Also, the amount of rubbish that's left on a cotton pad after toning leads me to think it just doesn't clean enough for me. I still get spots as well and this cleanser is supposed to be good for blemish-prone skin. I have ordered the CLEAR Normalizing Cleanser instead which has a gel texture and is targeted specifically at people with blemish-prone skin. It gets two stars as it's a Paula's Choice product so it will be properly formulated. It's just not for my skin.Customer Care : We are sorry to hear of your experience with this product. While this response is not typical, we do understand that each customer is uniquely different in how they will respond to products or ingredients. it is designed to remove excess oils so it sounds like the product did just not agree with your skin. We do suggest trying a clear gel texture cleanser such as the CLEAR Normalizing Cleanser or HydraLight One Step Face Cleanser. Please contact customer care with any questions, we are happy to help. im so glad I found out about Paulas Choice skincare, its really amazing and the best Ive had I bought a whole set of skincare and I can really see a difference. I used to spend alot of money on expensive brands for my skincare and this is far the best! And its not expensive !! I had the smaller bottle before buying this one and I have to say I don't know what happened to the product but it feels like someone has poured salt inside the bottle making my skin very irrated. I noticed it a little bit at the end of my first one but the one I purchases a few months ago was very gritty. I love paula's choice but this was a dissapointment :( Customer Care : Thank you for your review. We are sorry to hear you are not happy with the texture of this product. We have refunded the purchase price of the Skin Balancing Cleanser to your account. Please contact customer care with any questions concerning alternative cleansers, we are happy to help. I tried samples of this before committing myself to buying the range of products for combination skin. I was immediately impressed. Those with congested skin will know the feeling when you touch your face and it has an almost gravely feel to it. Not after using this. This cleanser really gets into the pores but without drying out your skin. I used to cry with frustration over my skin but for the first time in my life I am actually getting compliments about it. I bought the 473 ml size and use it morning and night. Judging by what's left in the bottle it looks like it's going to last at least 12 months. Excellent results and superb value for money too. Easily the best cleanser I've ever used. It's refreshing to experience the results promised on the packaging of a product. I have sensitive combination skin and love the way this cleanser feels and works. I do find that I need to cleanse twice to remove heavy foundation & eye make-up but that doesn't bother me. Other reviewers have mentioned the product doesn't dry out their skin, however, if I get distracted after cleansing & am delayed in continuing to tone & moisturise, I notice a slight tightness in my skin reminding me to complete my routine. I have never been able to use wash off cleansers before , they always left my face feeling dry and always made my skin break out even more , but this cleanser has changed all that ! I love it !!! My skin is clean , clear and it doesnt leave my skin dry ! Its the perfect cleanser and i recommend it so highly i wouldnt use anything else ! This silky cleanser does what it says on the tin: cleans thoroughly without drying out skin. It lathers into a rich foam which rinses off easily without that 'squeaky clean' feeling, just soft, supple skin. One bottle has lasted me over 4 months so it's great value too. I'm used to having the occasional spot, but these are few and far between now. Other have mentioned the smell - which I've never noticed. I don't miss having fragrance. This is frills, no hassle, and great for my skin. Darla - Works for my skin! This cleanser (combined with the toner and exfoliant) have been great for my skin. Before trying Paula's products I had been through a number of other different ones which either dried my skin out or gave me some kind of other bad reaction. These products have really helped keep my spots at bay and I shall definitely be buying more of them. Thanks! Through a process of elimination, I have found that the Skin Balancing Cleanser causes a horrible allergic reaction and causes dermatitis on my face. It is a terrible product, I can't believe you are allowed to sell it. Customer Care: If a product is not to your satisfaction you are welcome to return it within 30 days for a refund. For choosing the right cleanser for your skin type please contact our Customer Service. netty - great product ! It is a wonderful product. Easy removes all make up and leaves skin fresh, clean and soft. It is also comforts the skin. I will recommend it to anyone with sensitive normal to combination skin. Non-fragrant plant oil used as an emollient and has the ability to help replenish and soothe skin. Aqua, Sodium Cocoyl Isethionate (cleansing), Sodium Lauroamphoacetate (cleansing), Stearic Acid (texture-enhancing), Glycerin (hydration/skin-replenishing), Glycol Distearate (texture-enhancing), Helianthus Annuus (Sunflower) Seed Oil (non-fragrant oil/antioxidant), Acrylates Copolymer (texture-enhancing), Cetearyl Alcohol (texture-enhancing), Aloe Barbadensis Leaf Juice (hydration/skin-soothing), Sodium Chloride (stabilizer), Sodium Hydroxide (pH balancing), Xanthan Gum (texture-enhancing), Caprylyl Glycol (preservative), Hexylene Glycol (preservative), Disodium EDTA (stabilizer), Phenoxyethanol (preservative). Which cleanser is best for my oily skin? It all depends on personal preference. If you prefer a creamier cleanser that foams and rinses easily with no residue, the Skin Balancing Cleanser is ideal. If you prefer a super-light, clean-rinsing gel cleanser the Clear Pore Normalizing Cleanser is perfect. If you suffer from breakouts, the Pore Normalizing Cleanser is a good option. Will my skin be dry and tight if I use Skin Balancing Cleanser? No. Skin Balancing Cleanser is carefully formulated with gentle ingredients to cleanse the skin thoroughly and remove makeup without stripping or drying the skin.